Kay Smith was born in the U.K. and raised in NYC. A multi-media maven, she explores her creativity through photography, videography, design and branding. She created PHOTOKOFA, in an effort to use photography of a means of social justice and bring attention to artists on the fringes. When she is not working on her own projects, she passionately works in collabs and collectives with her artist friends. Kay worked as a set photographer and production assistant for both of PARTICL3 short films, "Pas de Deux" and "Stolen Moments." Vernell Spann is certified in makeup, special effects makeup and hairstyling from the MakeUp Designory, NYC. Her work has been seen at Mercedes-Benz N.Y. Fashion Week, NY Bridal Fashion Week, on television, in web series and short films. She currently hosts makeup training events and private lessons at her NY studio. Vernell empowers women by teaching them how to improve self-esteem and enhance their beauty using make-up. More on Vernell Spann here. Zui Gomez originally from the Dominican Republic, resides in NYC and is currently on tour with Ballet Hispanico. Zui received her BFA in Dance from the Boston Conservatory where she performed classics by Martha Graham and Jose Limón. She has danced with Ballet Hispanico, Ballet Hispanico Dos, Miami Contemporary Dance Company, DanceNOW! Ensemble, Nejla. Yatkin, Armitage Gone! Dance as well as Rosie Herrera Dance Theatre. Zui plays the role of Harper in Stolen Moments. Maëva Boldron is from Paris, France and now resides in NYC. She first discovered her passion for dance with hip-hop and later trained professionally at the Jazz Dance Institute Rick Odums (IFPRO). At the age of 18, she moved to NY to train as a scholarship student at The Ailey School where she had the opportunity to perform the repertoire of Alvin Ailey. Ms. Boldron was also a part of the works of choreographers Matthew Rushing, Marcus Willis and George Faison. 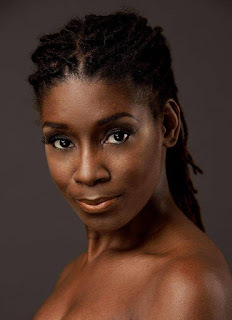 Ms. Boldron is a former member of FJK Dance Company and has performed with a number of renowned choreographers in NYC. Ms. Boldron plays the role of Lily. Adrian Miles was born in Los Angeles, California in 1991. In addition to having lived on the West and East Coast of the U.S., he also lived in Mexico and Brazil. Living in these metropolitan and rural areas, and being surrounded by different cultures, lifestyles, fashion, and music, broadened his interests and developed his appreciation for art and diversity. In his work, he attempts to capture quintessential urban city moments, including but not limited to taste-makers, eccentrics, mavens, and future icons. He got his start in film-making through DCTV’s Young Men of Color Media Program. His first short "Pas de Deux" was "Official Selection" in four International film festivals. More on Adrian Miles here.